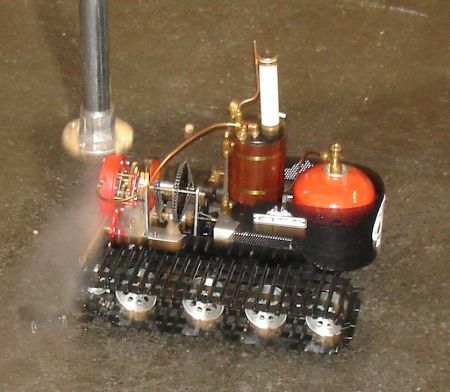 Tracks + boiler = seriously cool RC vehciles! I saw this little sucker a few minutes ago in the robotics pavilion. A few seconds after I took this picture he set up a bunch of miniature logs and ran them over. Nice. Things like this make me really wish that they’d had those robotics competitions back when I was in engineering school in the mid-’70’s. How much fun it must be to come up with stuff like this! !